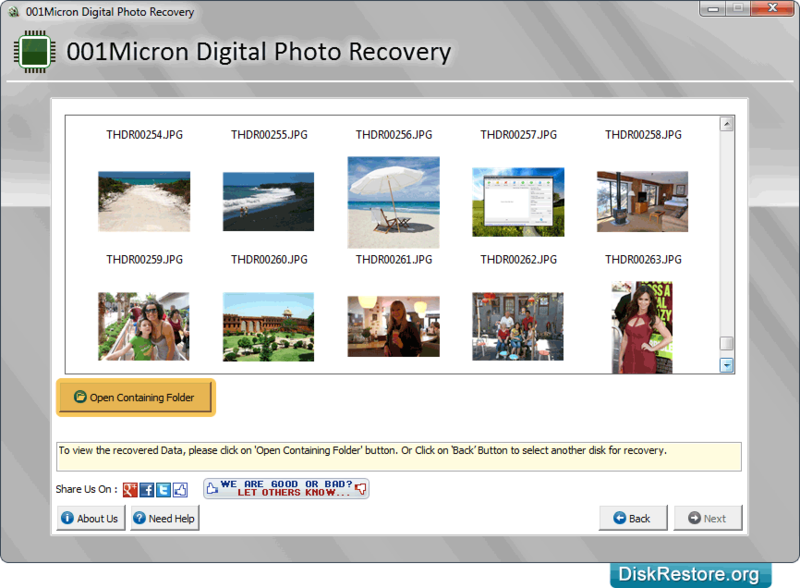 Digital photo recovery software easily recovers lost digital photos from various removable media as well as hard disk drive. 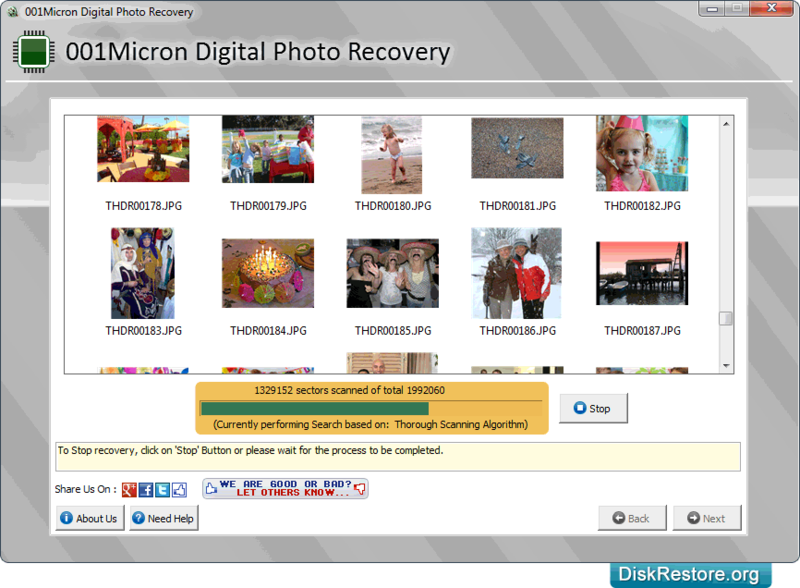 Photo recovery software is the solution for retrieving images, pictures, photos that have been lost due to accidental file deletion, formatted media, power surges, software faults and other similar failure to access data. 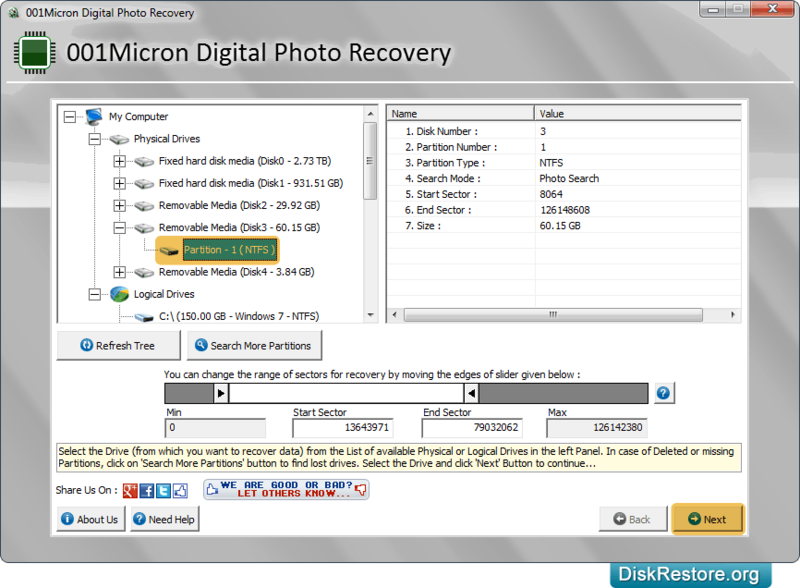 Select partition from which you want to restore lost photos and go to next screen. Browse path where the recovered images will be saved by software and click Next button to proceed. Disk Scanning Process (using Thorough Scanning Algorithm) is in progress. Click on 'Open Containing Folder' button to view recovered images. Advanced Digital photo rescue tool is useful for professional photographers and digicam users to restore lost or deleted images. 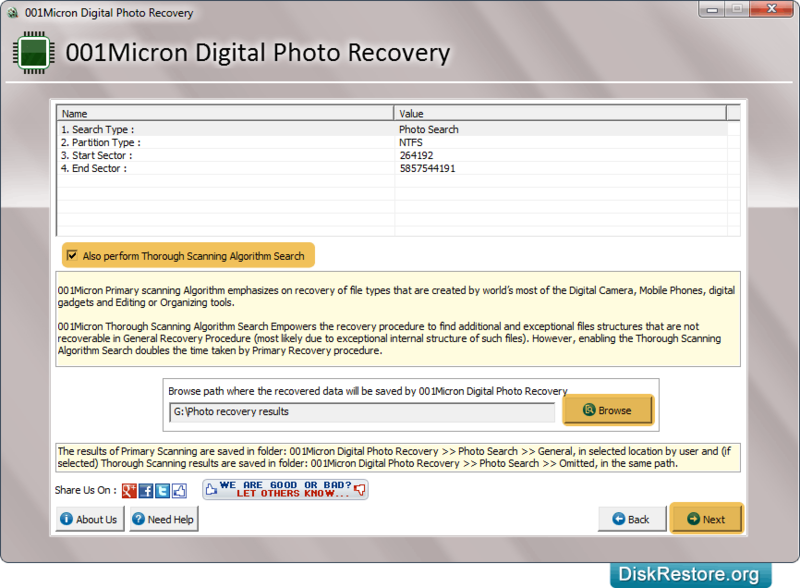 File recovery software easily recovers files and provides thumbnail preview of recovered photos and allows users to save the recovered files at specified safe location without requiring any technical skills. Recovers data lost or deleted from USB removable media drives and hard disk drive. 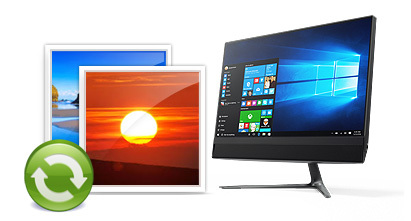 Retrieves files saved in jpg, jpeg, gif file formats. Smoothly works with hard disk brands (Seagate, Quantum, Toshiba etc.) and various USB drives (Canon, Sony, Hitachi etc).